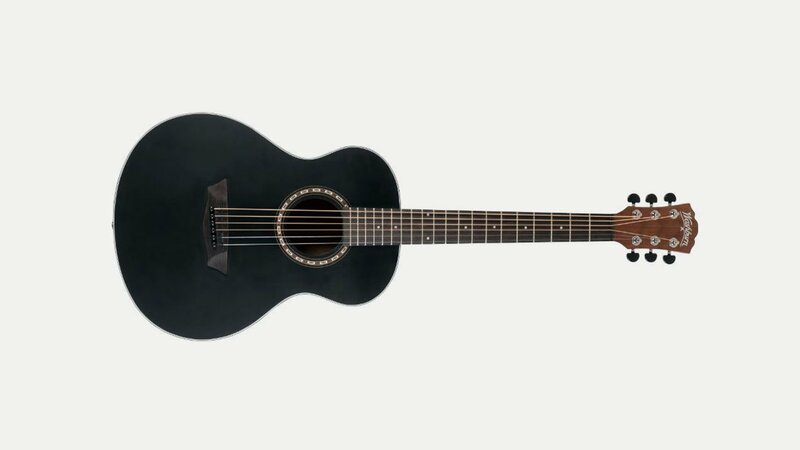 The Washburn Apprentice G-Mini now comes in matte black for a cool guitar! With scaled down proportions the matte finished select Spruce top with classic Washburn “Heritage” rosette and Mahogany back and side pairing of the G-Mini 5 BK lend to a mellow and well-defined tone with surprising note clarity for an instrument of smaller dimensions. As they say “it’s ideal at home in the living-room, at the chalet and campfire or anywhere you may find yourself”.